I just saw a news story about the wood that is used to make petanque jacks. All of the wooden jacks produced in France (about a million each year) are manufactured by one small company, Monneret, which sells its jacks to large distributors such as Obut. Now Monneret is reporting that caterpillars (larvae) of the box tree moth (which were first introduce to Europe from East Asia around 2007) are attacking and killing the trees from which wood is harvested to produce the jacks. Monneret’s company head predicts that in 5 to 7 years, all of the box trees in France will be gone. The company is attempting to stockpile box tree wood, and says that in the future it hopes to be able to import wood from other countries. 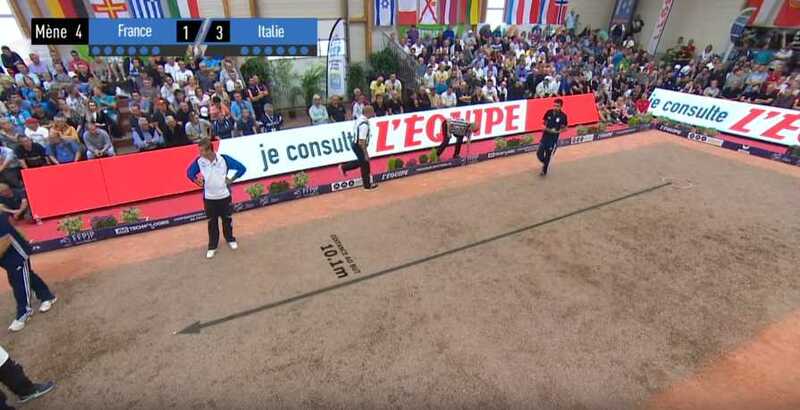 This kind of situation actually isn’t new in the history of petanque. Between about 1870 to 1930, boules games in France were played with boules cloutées. The sun, heat, and harsh conditions of the hills of Provençe produced stunted boxwood bushes with tough fibrous roots that were perfect for use as the core of these boules. But boules games grew tremendously in popularity during that time until, in the early 1920s, players were facing a catastrophic shortage of boxwood roots. Inventive players went looking for alternatives to nailed wooden balls. Around 1920 Paul Courtieu hit on the idea of manufacturing a ball made entirely of metal. Around 1925, Jean Blanc and Louis Tarchier invented the modern steel boule. In 1925 the Union Nationale des Fédérations de Boules approved Courtieu’s all-metal ball for use in official competitions. The last wooden boule clouté was manufactured about 10 years later. I predict a similar destiny for the wooden jack. In an earlier post I wrote— It is inevitable that better synthetic jacks will be developed in the future, and that they will be certified by the FIPJP for use in competitions. When that happens, synthetic jacks will will be cheaper, more durable, and more consistent in size and weight than wooden jacks. They will replace wooden jacks, just as metal boules replaced the old wooden nailed boules. I don’t think, though, that hard resin jacks like those from Obut and VMS are the future. They’re simply too dangerous. Instead, I think we are more likely to see jacks like the Decathlon/Geologic recreational jacks. Decathlon markets them as recreational jacks because they aren’t officially approved by the FIPJP in competitions. But the jacks, although a little small and a little light, have a legal weight and size. My advice to Decathlon is (a) to make these jacks slightly larger and heavier, and then (b) to get the FIPJP to certify them for use in official competitons. Then, I think, we will see the jack of the future. An alternative of course is to use some other kind of wood. The rules don’t specify what kind of wood a wooden jack must be made of. It doesn’t have to box tree wood. You can even go to your local craft store, buy a wooden ball, and make your own jacks. There are ladies and gentlemen out there who haven’t yet played petanque but are interested in learning it. Perhaps they saw it being played while they were on vacation in France, or they saw it in the movie A Year In Provence, and it looked fun. They’d like to buy some petanque boules and try it out. If you are one of these wonderful people, I have two things to say to you. (1) It really is fun! (2) Be be warned about shopping on amazon.com. What you will find on amazon.com will almost certainly NOT be what you want. If you search amazon.com for “petanque boules”, the first thing that will be offered to you will almost certainly be something like this. Click to see larger image. The set will be described as “bocce/petanque” balls or boules. The cloth bag will be emblazoned with the word “bocce” or “boules”. The set will contain 8 metal balls— pairs of balls with 4 different groove patterns— single narrow, single wide, double, and triple. The problem with such sets is that they contain NEITHER petanque boules NOR bocce balls. I’ve seen such sets so often that I’ve become hardened to the sight. Rather that screaming “stupid crap!” at my computer screen, I now give the product ONE star, and leave a review which I hope is both objective and helpful. It goes like this. Before buying a set of “petanque/bocce” balls, consider what you want to do with them. 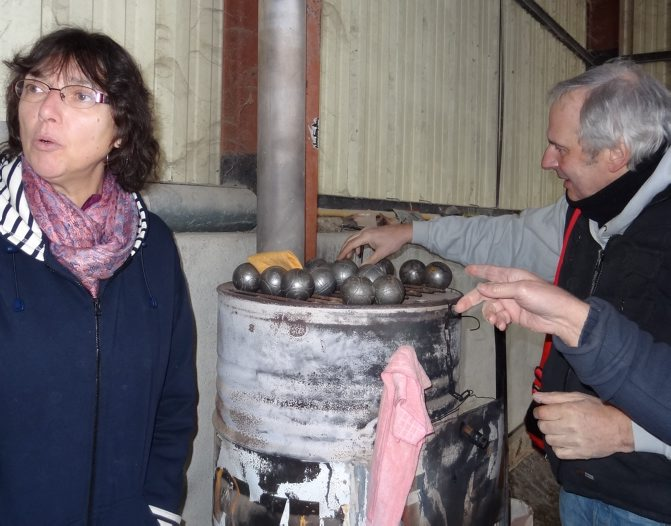 Before buying a set of “petanque/bocce” balls, consider what you want to do with them. Do you want to: (a) play petanque, (b) play bocce, or (c) just mess around without worrying too much about any rules. My recommendations, for each of those scenarios, are at the end of this review. 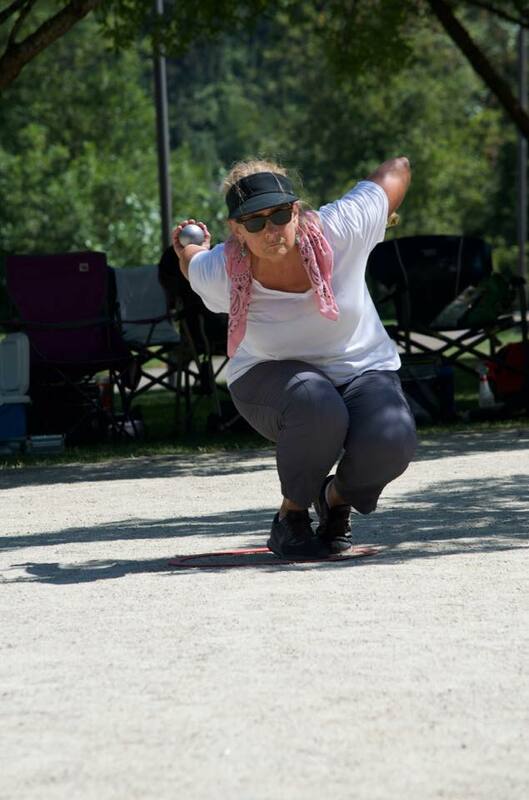 (1) Petanque is played with balls (called “boules”) that are about the size of a baseball (about 73mm, less than 3″). Boules are typically made of steel. They may or may not be hollow, and they typically weigh around 700g (just under two pounds). 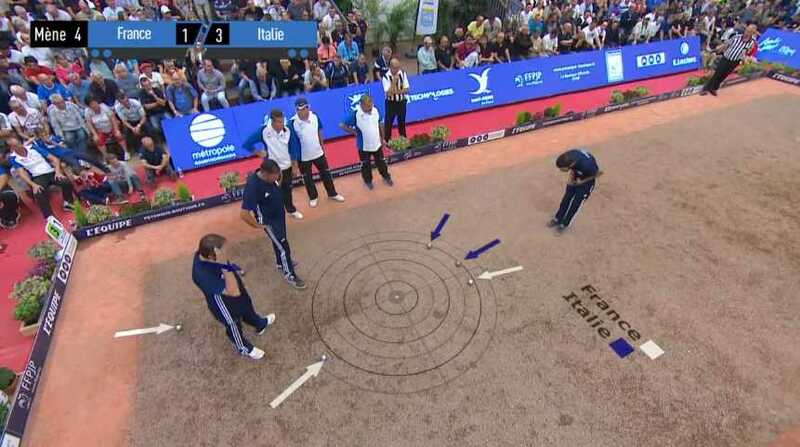 (2) In petanque, each player brings his own set of three boules. A proper set of petanque boules contains three boules, all with the same groove-pattern. You identify the sets belonging to different players by the number and pattern of grooves on the surface of the boules. Typical patterns are: no grooves, single-groove (wide), single-groove (narrow), and double-groove, although you may also see patterns with three or even 4 grooves. Coloring the grooves with different colors of permanent marker can help players to see the differences between sets. 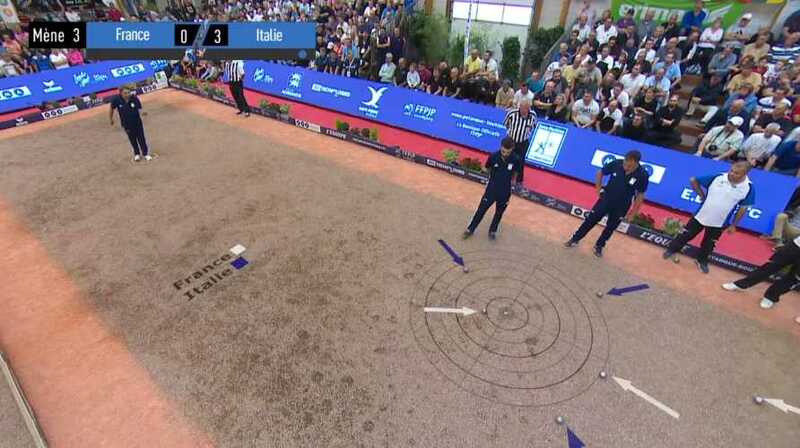 (3) In petanque, each team plays with 6 balls. Players play with 3 boules when their team has two players, and play with 2 boules when their team has three players. (4) WHAT KINDS OF BALLS SHOULD YOU BUY? You want each player to have his/her own set of 3 boules. If you buy a bag that contains 3 matching boules, you have enough boules to equip one player. If you buy a bag of 6 metal boules that contains two 3-ball sets, you have enough boules for two players to play singles. If you buy two such bags, you will have 12 boules; enough to equip 4 people to play a doubles game. (5) WORDS OF WARNING: Some vendors sell bags of SIX metal balls and call it a set of “bocce/petanque” balls. A bag of 6 metal boules — if it contains three 2-ball sets — WILL NOT work for petanque. Some vendors sell bags of EIGHT metal balls and call it a set of “bocce/petanque” balls. 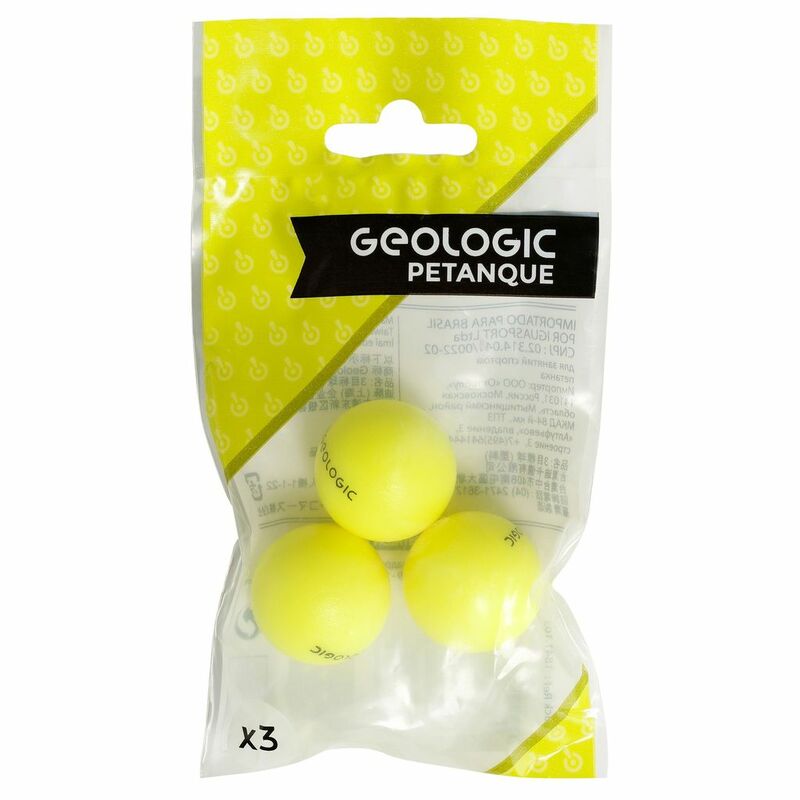 A bag of 8 metal boules that contains four pairs (2-ball sets) WILL NOT work for petanque. (1) Bocce is played with balls that are larger and heavier than petanque boules. A bocce ball is about the size of a cantaloupe (about 110mm, just over 4″). Bocce balls are typically made of solid plastic (epoxy resin) and typically weigh about 900g. (2) In bocce, someone typically brings a set of eight balls that is enough for the entire game. A proper set of bocce balls contains 4 pairs of balls: 8 balls in total. Typically, you identify the sets belonging to different players by the color of the balls and the number of grooves on the surface of the ball. Different teams play with different colors (usually, red vs green), and each player can tell his own ball by the number of grooves (single or double) on the ball. In some bocce sets there are 4 pairs of balls, each set of a different color. (3) Bocce is played as a 2-against-2 game; each side plays with 4 balls; players play with 2 balls each. (4) WHAT KINDS OF BALLS SHOULD YOU BUY? You want a set of 8 balls, consisting of 4 pairs of balls. The balls should be made of wood or epoxy, not metal. 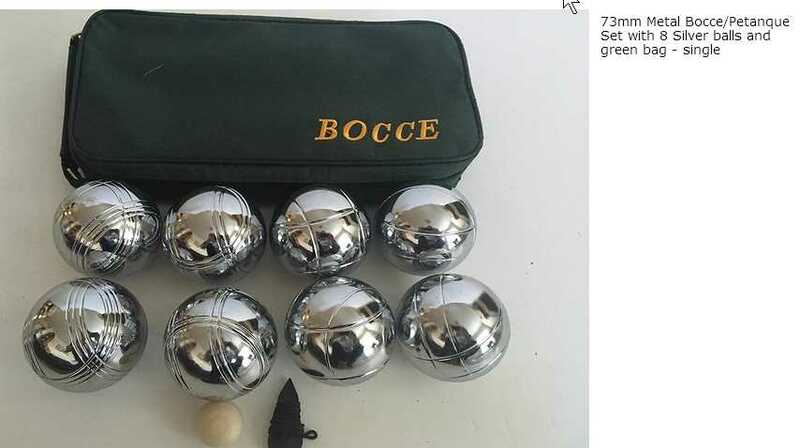 (5) WORDS OF WARNING: Some vendors sell bags of SIX metal balls and call it a set of “bocce/petanque” balls. Six balls only, no matter what kind of balls they are, WILL NOT work for bocce. Some vendors sell bags of EIGHT metal balls and call it a set of “bocce/petanque” balls. These aren’t true bocce balls, although you can play a game of bocce with them if you wish. A set of 8 metal balls will be more portable (smaller and lighter) than a set of 8 true bocce balls. [This section depends on the product being reviewed. It might, for example, say something like...] This product is a good buy. It is the least-expensive set of 8 metal balls that you will find on amazon. IF YOU WANT TO PLAY PETANQUE: This product is NOT recommended. It consists of four sets of 2 boules each, so it cannot be used for any proper game of petanque, as explained above. MY RECOMMENDATION: Look elsewhere on amazon for offerings that contain two sets of 3 boules each. There are at least two other products on amazon.com that fit that description. IF YOU WANT TO PLAY BOCCE: This product is NOT recommended. These metal balls are not true bocce balls, which are larger, heavier, and made of epoxy. MY RECOMMENDATION: Look elsewhere on amazon for proper bocce balls. There are many reasonably-priced sets of true bocce balls on amazon. I have left reviews like this for a number of sets of “bocce/petanque” balls on amazon. A few people have flagged them as helpful. If you want to leave a similar review, feel free to copy-and-paste text from this post. (Just remember to customize the text in the IF YOU JUST WANT TO MESS AROUND A BIT AND NOT WORRY ABOUT THE RULES section.) And please share links to this post— help get the word out. 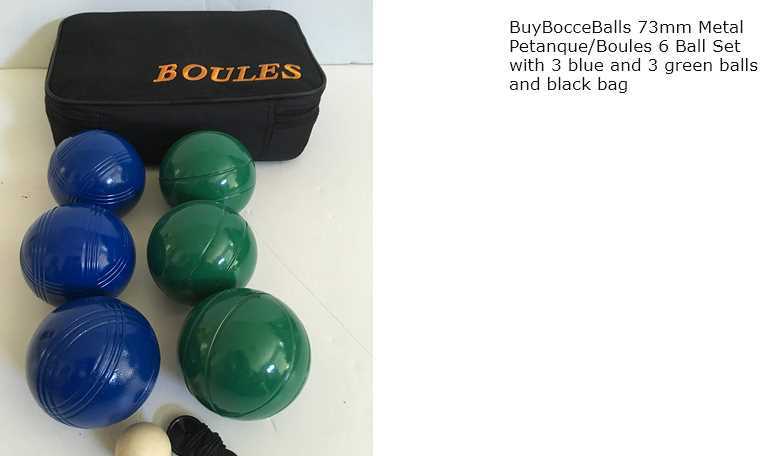 Your best bet on amazon is the set of leisure boules sold by Petanque America, although you will save money (and have a few more options) by ordering directly from the Petanque America website. Finally, Petanque Portal USA is a good starting point for more information about the game. If you watch American football on television, you’re familiar with the magic yellow line. 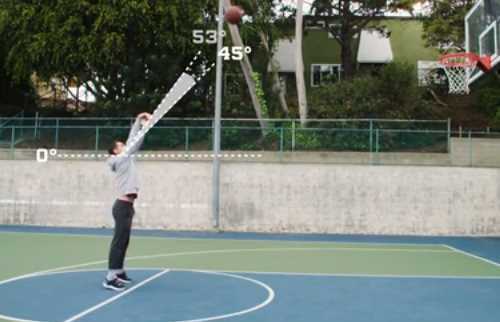 Incredibly powerful computer technology now makes it possible to superimpose computer-generated graphics onto the moving images of the game in such a way that the graphics appear to be physically painted onto the playing field. 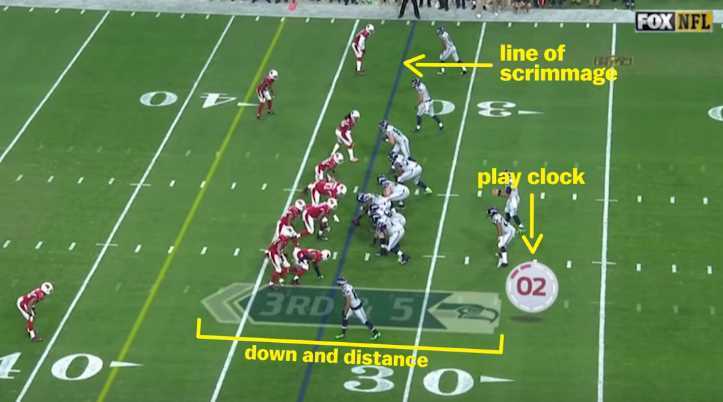 This technology was first used to display the first-and-ten line as a yellow line on the field (hence the name “magic yellow line”) but now it has advanced to the point where many other graphical elements can also be inserted onto the screen. 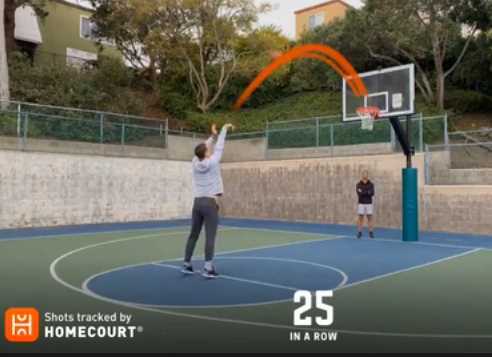 This technology has finally made its way to televised petanque. I’ve been wishing for it for a long time, and now it’s here. You can see it at a few scattered places in the 2017 Eurocup Finale on Youtube. 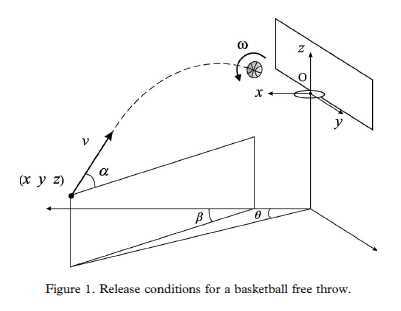 The technology isn’t yet perfect— the 10m10 distance shown in the first image was wrong. (The umpires measured it at 9m73, so the jack was good.) But of course it will get better. In case you missed it… in April 2017 the FFPJP (the French national petanque federation) adopted a new logo. The evolution of this logo reflects the ambition of the FFPJP for the coming years. Its style, both more dynamic and refined, brings to the Federation the image of a strong brand, in full development. The logo of the French Federation of Pétanque and Jeu Provençal affirms its visual identity. The rooster (le coq gaulois) is an unofficial national symbol of France. Its association with France dates back to the Middle Ages and is due to a pun (in Latin) on Gallus (an inhabitant of Gaul) and gallus (a rooster or cockerel). For a lot of fascinating information about le coq gaulois (including its connection to weather vanes) see the Wikipedia article on the Gallic rooster..
A few petanque players in the USA brave the rigors of winter and continue to play with snow on the ground. Some of those players put their boules on some kind of device to warm them up. The moral of this post is that boules and heat do not mix.